Fresh bananas are available year-round. Unlike other fruits, the ripening process of bananas does not slow down after they are picked. Bananas should be stored at room temperature. The warmer the temperature, the faster bananas will ripen. However, to slow ripening, bananas should be refrigerated. The outer peel of the banana will darken but the banana itself will stay intact longer. To encourage faster ripening, place the banana in a brown paper bag at room temperature. 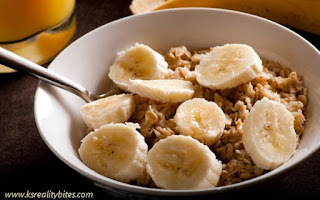 In 2008, a popular diet fad known as the Morning Banana Diet recommended eating a banana in the morning along with water, eating a normal lunch and having dinner before 8pm. Like apple sauce, ripe mashed bananas can be used in baked goods to replace oil or butter. Mashed bananas lend a moist, naturally sweet flavor to muffins, cookies and cakes. Peel and freeze bananas for a great addition to any smoothie. Add sliced banana to your morning cereal or oatmeal, or take a banana with you on your way to work or school for a healthy, portable snack.